Enjoy twice the comfort and twice the view of your fire with a Stockton double sided stove. Using one central chimney, the doors to both the back and the front of the stove are designed to open into adjacent rooms. So, compared to individual stoves in each room, you have less work refuelling and even more of a focal point to your home. 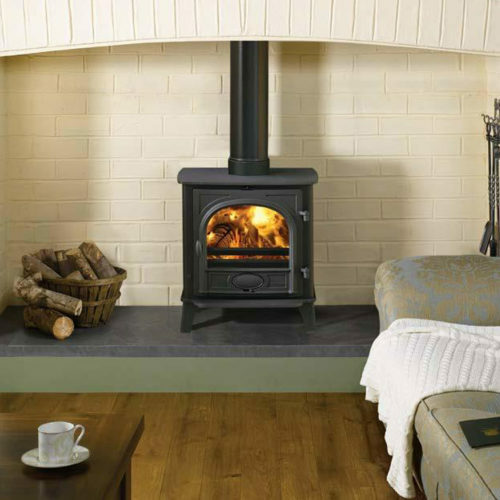 There are two sizes of stove from which to choose – Stockton 8 Double and Stockton 11 Double. Although this double sided configuration does not allow the incorporation of full Cleanburn technology, both stoves still include an airwash system to keep the glass clean. 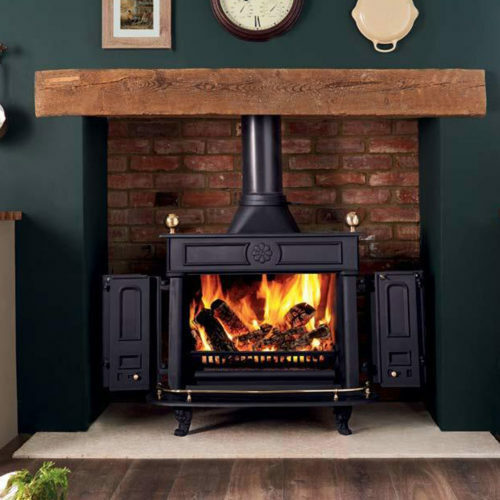 The smaller Stockton 8 Double will provide you with a significant heat output, up to 9kW, whilst the Stockton 11 Double produces an even more powerful 11kW.